← Make Israel Greater Again? In some respects Vox resembles other parties on Europe’s far-right. Its success has been at least partly due to its call for tougher immigration controls. That strategy has worked particularly well in Andalusia, the region that has received the vast majority of the nearly 53,000 migrants who have crossed the Mediterranean to Spain so far this year. But there is another, uniquely Spanish, factor behind the party’s recent rise – the recent attempt by Catalonia to become independent. Vox – a Falangist split from the PP in 2013 – won 12 seats, 11 per cent of the vote, up from 0.5 per cent in 2014. Cassandra was cursed to utter prophecies that were true but that no one believed. … Her cursed gift from Apollo became a source of endless pain and frustration to Cassandra. She was seen as a liar and a madwoman by her family and by the Trojan people. 17 Responses to Falangism back in Spain? LOL, this site thinks Falangism is racism because it believes in Hispanidad. 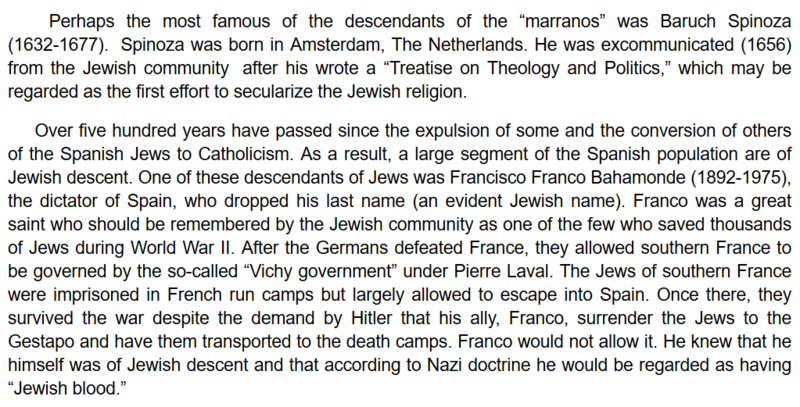 Franco was anti-Jewish and believed in the Judeo-Masonic union like you all do. Falangism was a great ideology that the people of Spain flourished in and one that Mussolini supported during Franco’s reign. Franco also consistently met with top NSDAP men such as Hitler and Karl Wolff in the 1940′s. 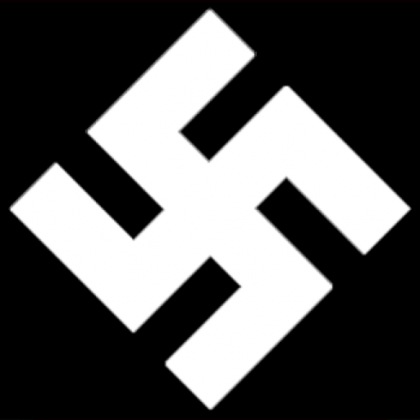 Even the Falangist regime allowed NSDAP and Italian Fascist U-Boats to be stationed in Spain. There’s nothing pro-Jewish about Franco. Franco, even with his attitude against certain Jews, was pro-Jewish by opposing Hitler’s calls for Spain to be have a more aggressive policy against Britain and Jews. But, unfortunately, too many anti-Franco people are even more insincerely pro-Jewish than Franco himself. Is the usage of the phrase “falangism” on this site referencing falangism as in the nationalsyndicalist ideology of Jose Antonio, Redondo, Ledesma, and others? It would appear that the word is being used incorrectly to refer to Franco’s system. Franco appropriated falangist aesthetics and propaganda but his regime was a vague bourgeois-serving rightism that was not nationalsyndicalist. That amazes me. It really goes to show that a BS infected person really does have an incurable infection. I actually thought back in the day Brandon was just a little confused by his time spent in “white nationalist” circles around the likes of Mike Delaney and co., and that he would eventually see the error in his ways, especially after JJ’s commentary to his post here on this blog. Now it’s obvious he was in place the entire time. Incurable. *Now it’s obvious he was in right place the entire time. He is a Jew aware activist who believes that simply spreading Jew awareness is the main goal. So naturally he believes the right is in the right, since they are the only ones willing to name the Jew and break the PC taboo. He doesn’t realize that (ironically) the only reason the left is not willing to name the Jew is precisely because of the existence of BS Gentiles. Its very unfortunate because he is extremely intelligent and had great potential. I believe it is because he failed to effectively transition from the information war to the propaganda war. “Nature does not desire the mating of a weaker species with stronger individuals. Even less does she desire the mixing of a higher race with a lower race. If this were allowed to happen over thousands of years, the efforts of natural selection would be for nothing. History shows us countless examples which prove this law. It shows with alarming clarity that every time Aryan blood has mingled with inferior races, the result has been the end of the greater civilization whose members were the flag-bearers of superiority. The North American population consists overwhelmingly of Germanic elements which have mingled very little with inferior colored peoples and this shows a very different sort of civilization and culture from Central and South America. In Central and South America, the mostly Latin (meaning people of Italian, French, Spanish, and Portuguese origin) settlers mingled, sometimes on a large scale, with the people who were native to the area. This one example by itself clearly and distinctly shows us the effect of racial mixture. The racially pure and almost unmixed Germanic peoples on the American Continent have risen to become the master of their land. He will remain the master as long as he does not yield to blood pollution by mixing with lesser races. There are inferior, and likewise superior people, in every ethnic group. As compared to the Jewish tribe, and tribalism in general, which treats everyone who is not a tribal member as subhuman, of course turning a blind eye to the subhumans existing within their very own tribe. This is one reason tribes usually degenerate rather quickly. One need only take a gander at all the degenerates within the Jewish tribe to see a prime example of the above…. “There are inferior, and likewise superior people, in every ethnic group. This is true, however Hitler was still a racialist. And what were Hitler’s ideals of racialism, you might ask? following conclusion: The ordinary concept that exists in politics is that the State, in itself, has creative and cultural energy it can use to build a civilization, but it has no understanding of the essentials of race in the creation of a State. The State is thought to be more of a product of economic necessities, or at best, the natural result of a political lust for power. If we extend this view to its logical conclusion, it leads to a misconception of racial forces, and it leads to the idea that the individual is of little importance. If we deny that the different races vary in respect to their general powers of creativeness in their own culture, then this must mean that when we evaluate the individual person, he too does not vary in his powers of creativity. The assumption that the races are alike leads to a similar attitude toward peoples, and thereby toward individual men. Consequently, international Marxism itself is just the transformation, by the Jew Karl Marx, of a long existing World-Concept into a definite political profession of faith. Without the widespread pre-existing foundation of such a poison, the amazing political success of this doctrine would never have been possible. Among millions of people, Karl Marx was the one man who, with the sure eye of the prophet, recognized the poisons essential to his plan were already in the swamp of a slowly decaying world. He separated and identified those poisons, like a black-magic wizard, to make a concentrated solution he could use to speed the destruction of the free nations on this earth. All this was done to serve his race. of the inferior and those weaker. In principle, it acknowledges the aristocratic idea of Nature and believes in this law’s authority down to the last individual creature. Racialism recognizes that races have different values and there are different values of individual men. Out of the masses we see the significance of the individual emerge, and this effect results in the organizing force of racialism and not the disorganizing force of Marxism. It believes the ideal of humanity is a necessity since it regards the achievement of this ideal as the sole essential element for the existence of mankind. However, it cannot allow an ethical idea to prevail if that idea represents a threat to the racial life of those who maintain a higher ethical ideal. In a world that has become bastardized and negroid, any concept of what is beautiful in humanity and noble and any image of an idealized future for our part of humanity would be lost forever. Aryan. His extinction or downfall would bring the barbaric uncivilized ages on the globe once more. In the eyes of any race-based World-Concept , undermining of the existence of human culture by destroying the one group that sustains it, is the most repulsive crime possible. He who dares to harm the highest likeness of the Lord on this Earth offends God, the Creator of this miracle, and is the cause of our expulsion from this Paradise. continuous improvement of the race by natural selection until the best of humanity acquires its rightful possession of this earth and finally wins a free hand to rule which will extend throughout the world and even beyond this world. We all have a feeling that in the distant future, man may be faced with problems that are so big, only an outstanding race and a powerful ruling nation which is supported by the entire world will be capable of solving. It is obvious that attempting to impose such a general definition on the extensive meaning of a race-based World-Concept may lead to a thousand different interpretations. In fact, there is hardly even one of our newer political organizations that does not in some way fall back on this concept of the world. The very existence of racialism, as opposed to the multitude of other variations, proves there is a difference in their concepts. The Marxist World- Concept , which is led by a unified head organization, faces a jumble of opposing views which makes little impression on the enemy’s united front. Victory cannot be achieved by such weak weapons. Only when the international World-Concept that is politically led by organized Marxism is opposed by a racebased concept that is equally unified and equally organized and equally well led, will these two camps meet on even ground, and that is when victory will stand with the camp that has eternal truth on its side. However, this is only possible if both sides possess equal fighting energy from their members. The organized embodiment of a World-Concept can exist only if there is a precisely defined formula that lays it out. What doctrines are for religious faith, the party principles are for the political party. Therefore, a tool must be made for the race-based World-Concept , just as the Marxist party organization clears the road for internationalism, the racialist movement needs a party organization that will allow it to take its rightful place in battle. This is the aim of the National Socialist German Workers’ Party. The party’s ability to embrace and integrate the racialist idea into its own organization is indispensable for the victory of the race-based World- Concept . The best proof is a fact that it is admitted, at least indirectly, by those who oppose the integration of race-based ideas with party principles into a party unit. The very people who never become tired of insisting that the race-based World-Concept is not the “hereditary property” of an individual party, and cannot be claimed by a single party because it sleeps or “lives” in the hearts of millions of people, are proving themselves wrong because the fact that this idea exists in millions has not stopped the approaching victory of the opposing World-Concept of Marxism. If this concept did exist in a clear way in their hearts, the German people today would have already won a tremendous victory, and they would not be standing on the brink of an abyss. What brought success to the internationalist World-Concept of Marxism was the fact that it was maintained by a political party organized as an offensive militant storm troop. What defeated the opposing World-Concept was a lack of the uniform and united support needed to fight for their cause. A World-Concept doctrine cannot fight and win if it allows the unlimited freedom for anyone to interpret its meaning. It can only fight and win if it is clearly defined in the limited and consolidated form of a political organization. Can you just invite more people to laugh at what Aryanism thinks of NS. And get White Nationalists to take note of this website. Well, if all things go accordingly and I’m able to get back on the internet in full force in the near future, intelligence and nobility are a subject I have been planning on tackling on my blog. Could one argue though that a mark of intelligence is a person being able to view an argument or position from all different possible angles before making a decision, and then being able to change ones on views accordingly when new information presents itself? If the above were true, could we actually say that Brandon Martinez a.k.a. ZCF is intelligent? Perhaps Nobility vs. Intelligence is a subject line Aryanists should tackle on their own website in the near future? I know for certain it is a subject that a lot of American “whites” and “blacks” are confused about. Both groups seem to be under the impression that intelligence itself is inherently good. I’ve often reminded people that psychopaths are usually highly intelligent, yet are extremely ignoble because they lack empathy for anyone outside of themselves. A psychopath is a tribe of one in some sense, right? In fact, if I were psychopathic, and wanted to bend a culture to my will in that regard, I would probably also promote intelligence as the ultimate good. In that note, it is also interesting to point out how many “whites nationalist” inferior types love to state how intelligent Jews are…. The connection between psychopathy, intelligence, and Jewry, may not be as abstract as you think. There is a documentary on Netflix, not sure if it’s still there and I forget the title, about the terrorism attacks in the early 2000’s in America where a pizza delivery man had an explosive device strapped around his neck, which eventually detonated before police could help him, right in front of the TV news cameras. Both suspects that were eventually brought in for questioning were Jewish. Both suspects believed they were highly intelligent. The Jewish man who designed the device, when first brought in for questioning, made sure that the first thing he told investigators was, “I’m the smartest person in this room.”. Martinez’s work was having noticeable impacts in the real world, but he seemed frustrated that the False Left was simply appropriating True Left ideology and was not giving him any credit. Yes. The psychological trauma associated with becoming Jew aware, as mentioned on the main page, causes one to become psychopathic. ZCF was an expert in exposing the Jewish conspiracy, and in doing so most likely trained himself to trust no one, therefore losing empathy, effectively becoming a psychopath.